Front Load Washers VS Top Load - How to Save Time and Money! Laundry in our home is never ending. I dread this chore. With two kids, a huge pile of gym clothes, never ending baseball clothes, we are doing laundry at least one to two times every single day. If there is one appliance in my home that I will purchase for convenience, it would be a LG front loading washer and sidekick. Having a washer with front loading would allow me to have more time in my day and save more money in my wallet. Isn’t that what we all want as parents? Front loaders have a better cleaning performance than top loaders. Front loaders use less water and consume less electricity, saving you money on utility bills! The front loader washer spins faster, reducing the overall drying time and giving you time back in the day. The convenience of your kids being able to help out with laundry! What I’m really excited about is the SideKick option on the LG front loader! Workout pants cannot go through the dryer. Well they can, but putting them into the dryer will reduce their lifespan tremendously. So try putting them into the washer with other clothes and then having someone else in the family help out with laundry. Sorting of the gym clothes does not happen. The SideKick will allow you to wash two loads at once! So now you can wash things like gym clothes, delicates and all of those things that you don’t want mixed in with regular clothes. 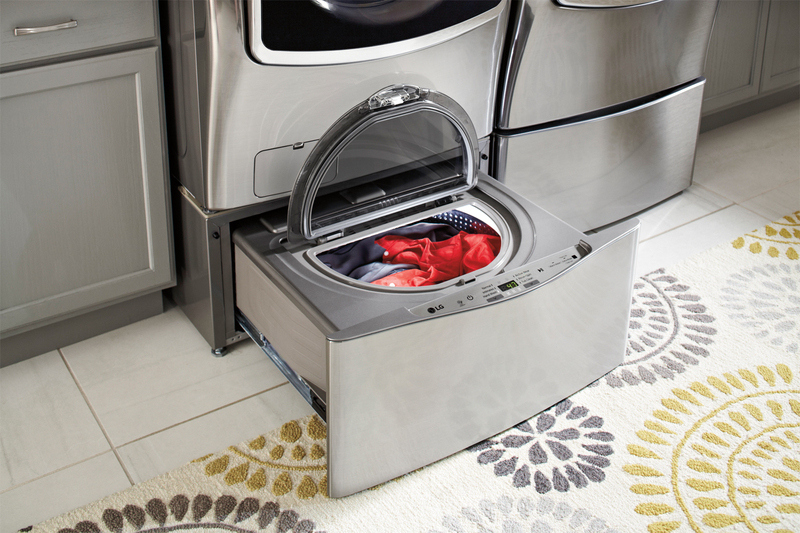 You can do laundry, save time by running two loads at once and save time again by not having to sort while going into the dryer! 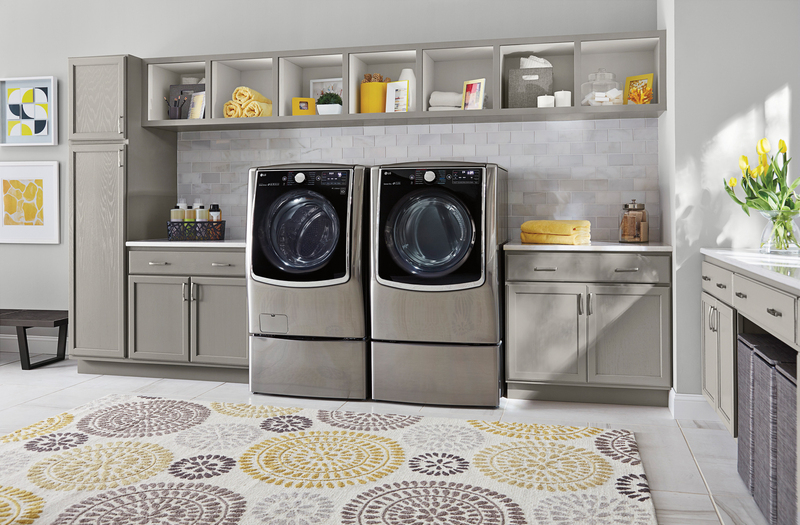 Doesn’t this LG front load washer and dryer set look and sound amazing? Stop into Best Buy to check it out! The Best Buy Blue Shirts are experts in the benefits surrounding LG Front Load laundry. 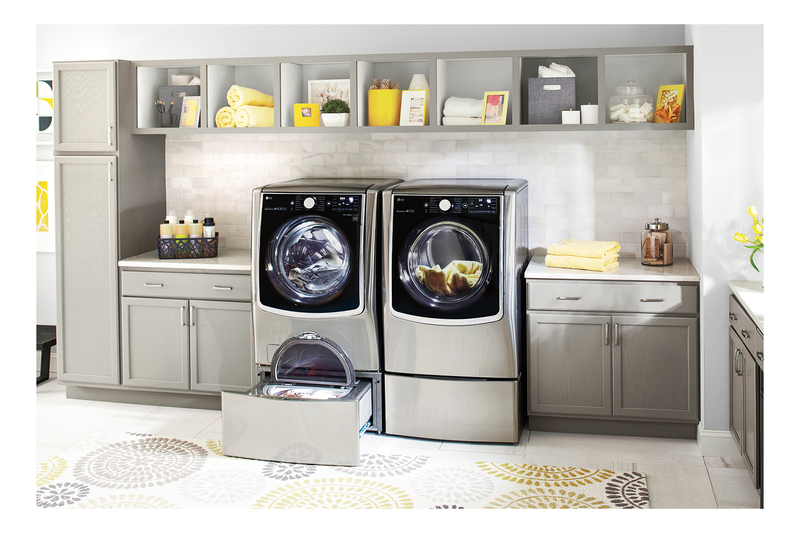 Purchase a LG Front Load Washer and SideKick to save to an additional $150. ← Chocolate Pudding Pie No Bake – Protein Packed & Perfect for Summer! Toy Story Birthday and Gender Reveal Party Makes for a Big Day!